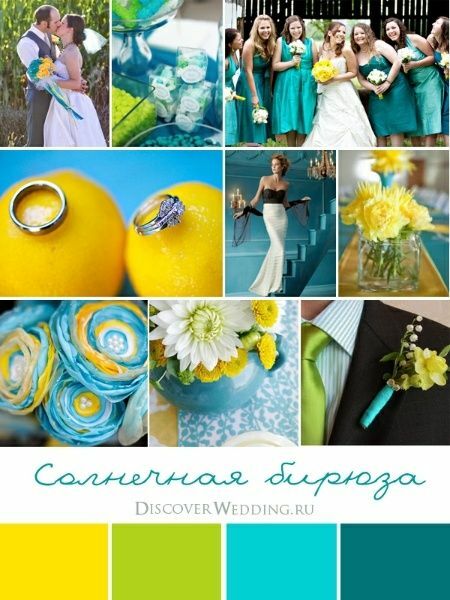 The choice of the color palette is very important for the harmony of all elements of a wedding, it will define all the wedding decoration, starting with the invitation, going through the housekeeping, including towels and table centers, a tray of sweets, wedding cake, ornaments in general, choice of flowers and even in the souvenirs and clothes of the pages and bridesmaids. 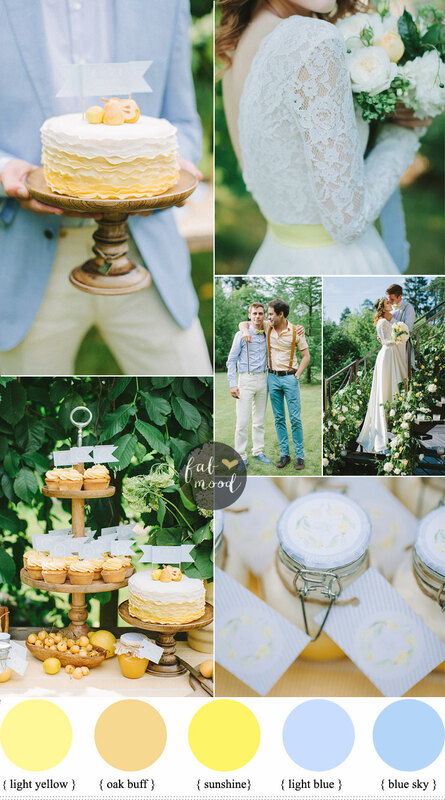 You can choose a monochrome palette, such as in different shades of blue, for example, or by combining two or more different colors. 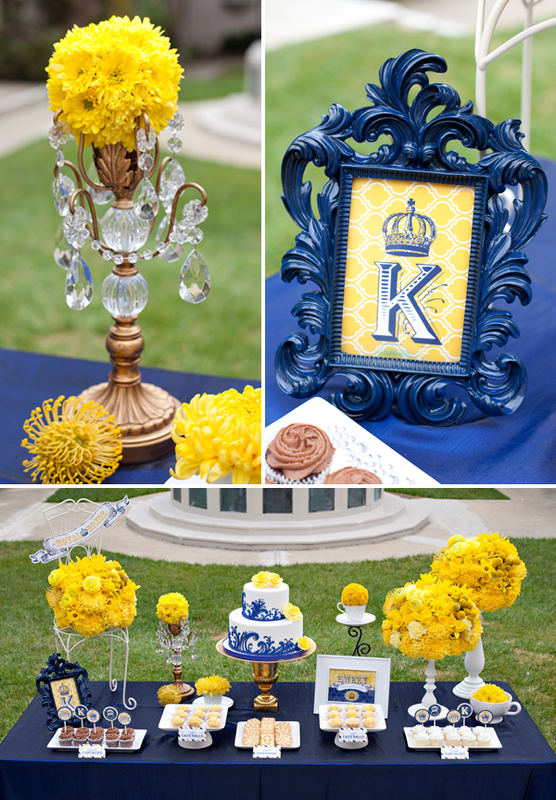 The palette of colors in blue and yellow, at first glance did not sound very good, I confess that I found it difficult to combine these two so different tones, but when I see the face to face the wedding decoration in these colors I became enamored with the combination. 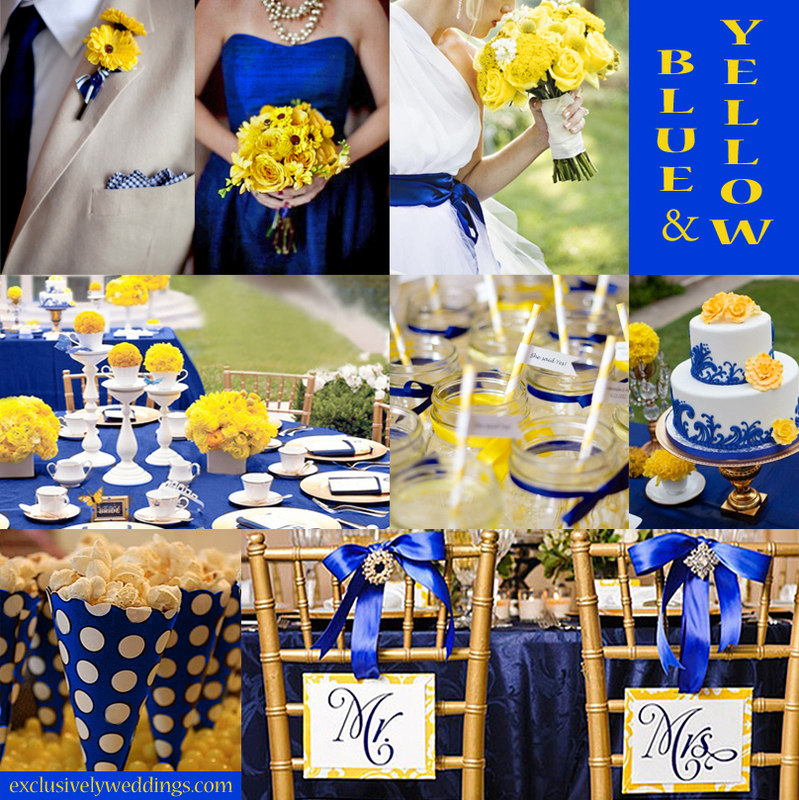 My favorite combination in these colors is the dark blue with the bright yellow. 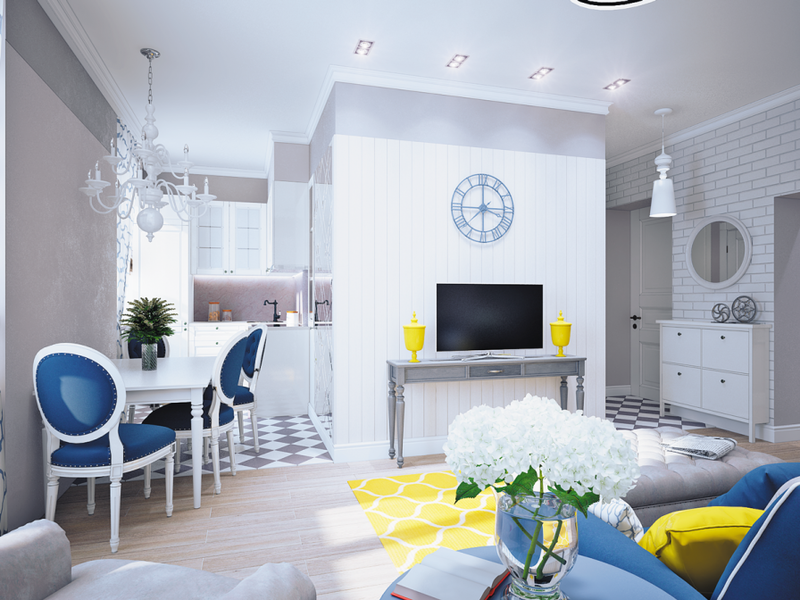 Besides being a great choice the dark blue is very high, and the combination of these two colors combines very well, as they convey joy and leave the environment elegant and full of vigor. 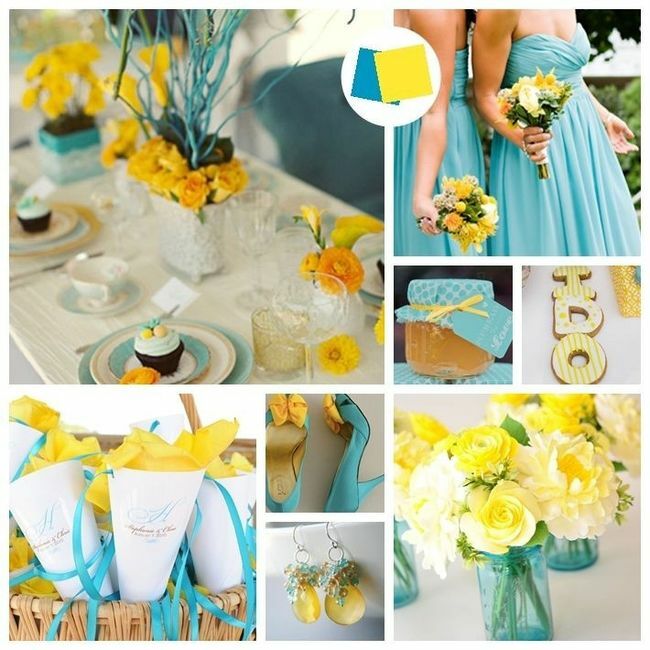 But you can also bet on other shades like turquoise and yellow or pale blue and gold. 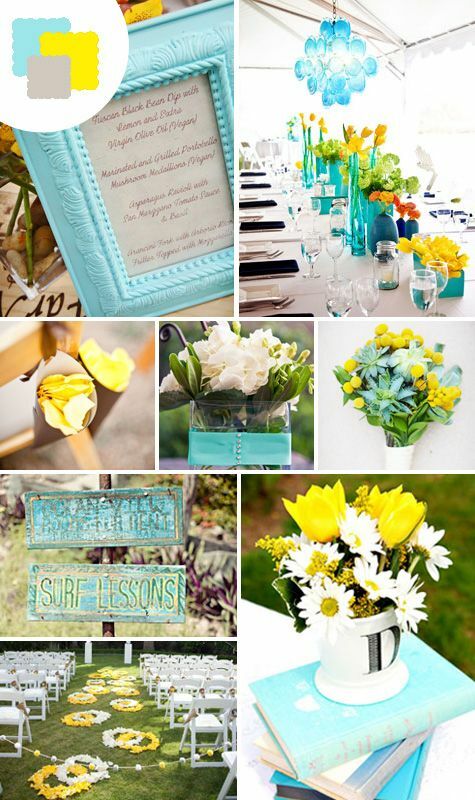 The style of a wedding decoration should not be made based on trends but rather on the bride and groom’s profile and this includes choosing the color palette. 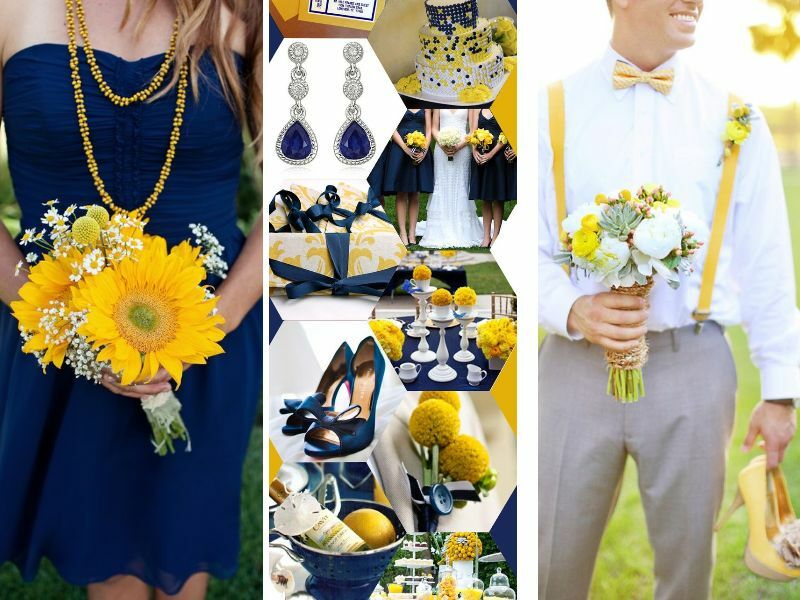 But the choice for blue and yellow can be made either in vintage style weddings or traditional weddings, as in weddings with more modern dresses, just vary in tones. 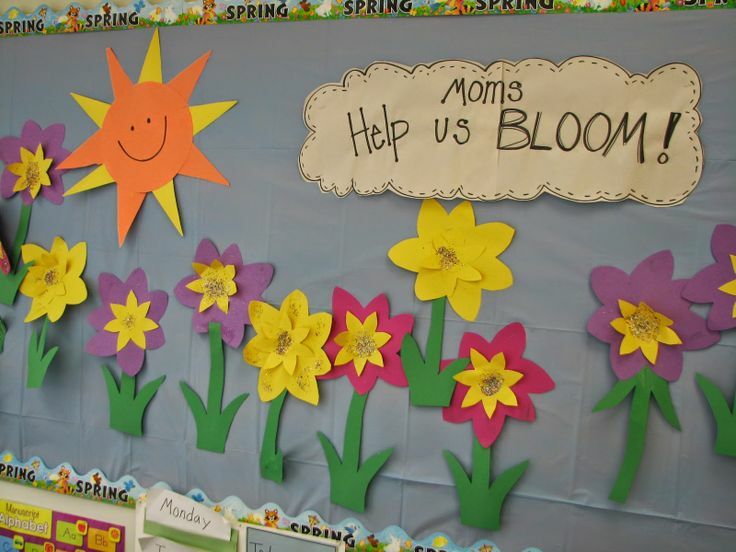 Although they are primary colors, that is, main colors from which all other colors are formed, these two tones will automatically combine, especially since one of the tones is less intense while the other is strong and energetic. 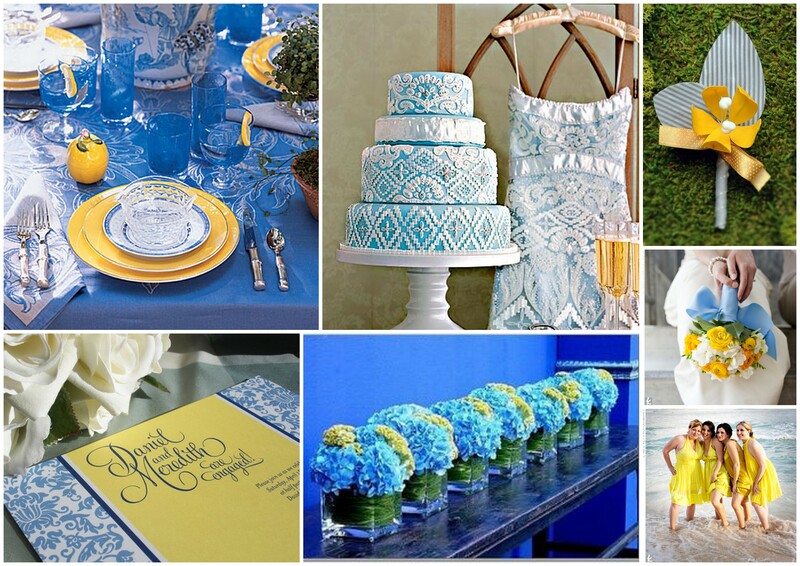 The blue is quiet, serene conveys calm and confidence and works super well in the decor and the details of the wedding, regardless of the tone you choose. 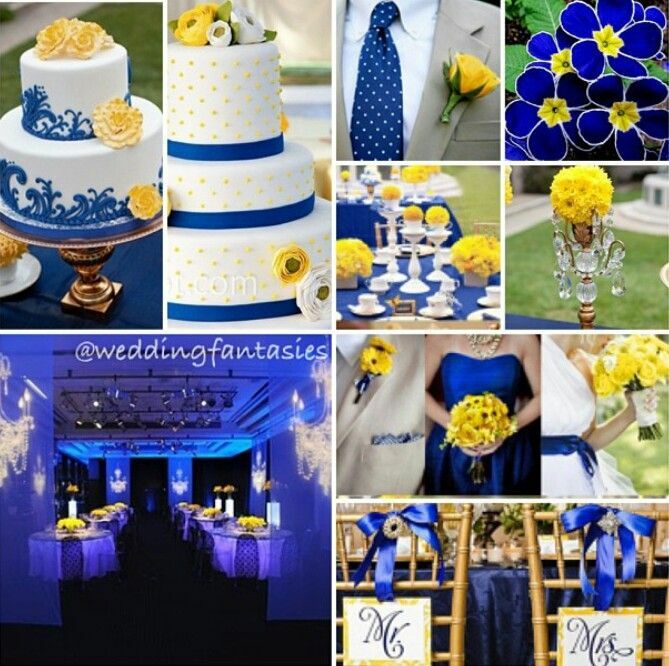 It may seem complicated to combine the blue with other colors, but in practice it is not, it is much more versatile than it looks with the yellow that marries super well and leaves your wedding decoration graceful and jovial. 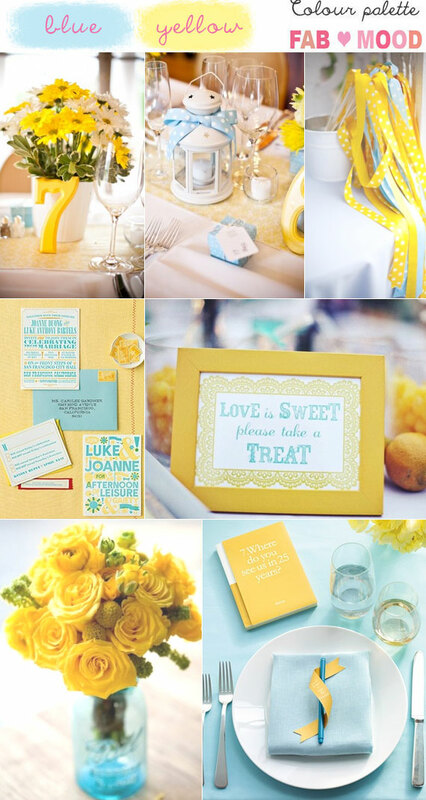 If the intention is a more modern and contemporary wedding choose a stronger tone of yellow, so the impact will be greater. 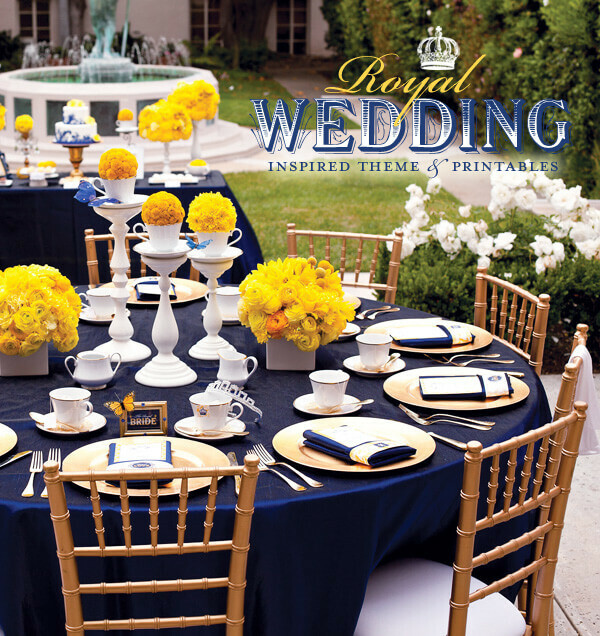 Living shades of yellow combine mainly with dark blue, the union of these two colors gives a mixture of sobriety and energy. 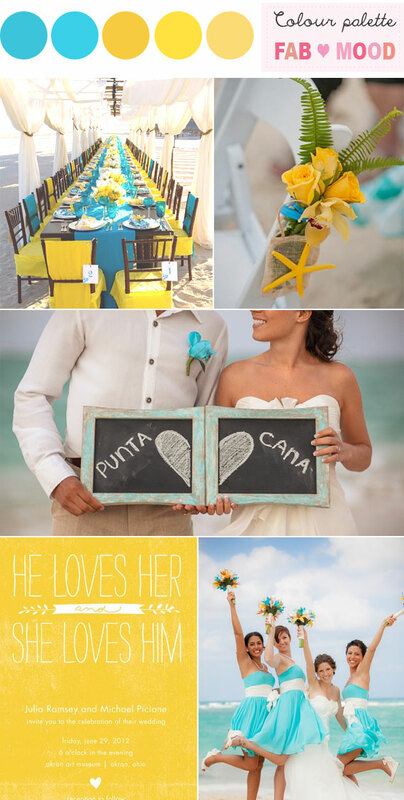 But if the bride and groom prefer a more peaceful, harmonious and cozy climate, it is best to opt for lighter shades such as light yellow and turquoise. 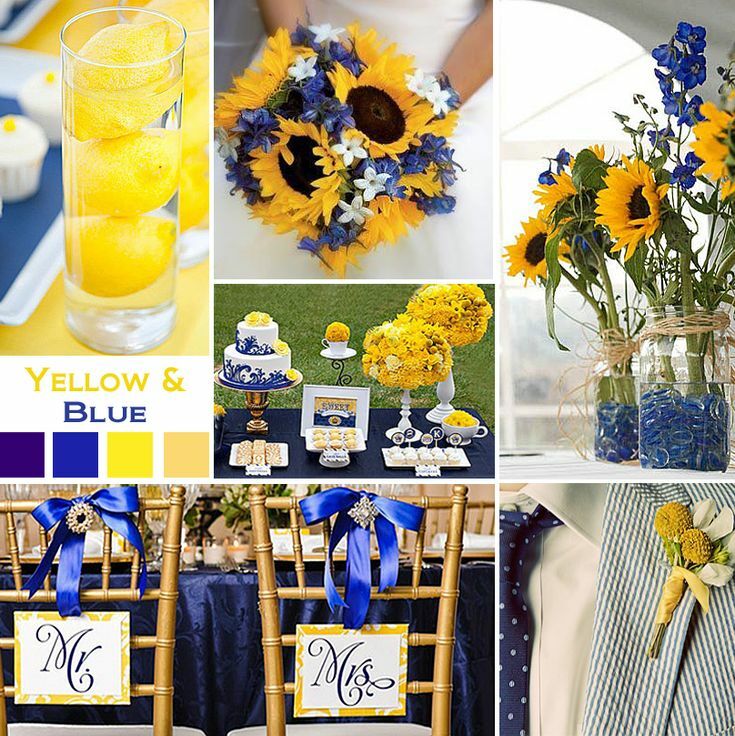 It is important to note that when choosing the color palette for the wedding everything must revolve around them, including the flowers. 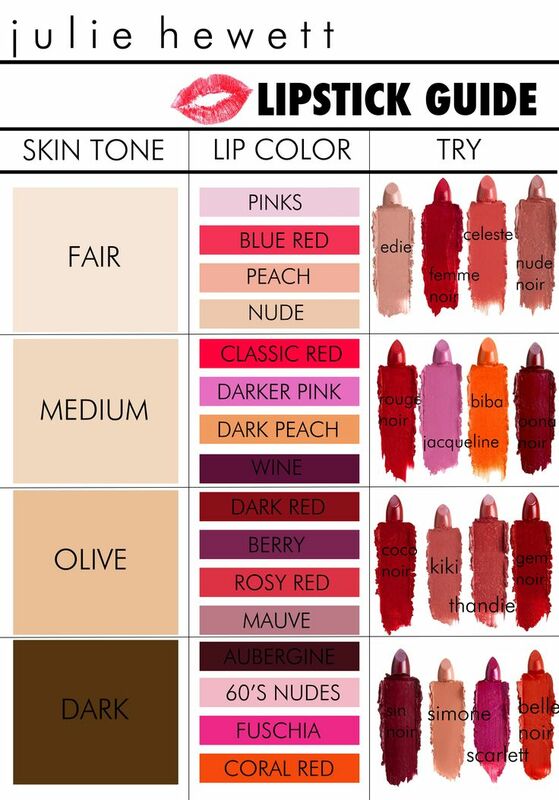 Of course, if the chosen palette does not have the color of any color then choose flowers with neutral colors like white roses. 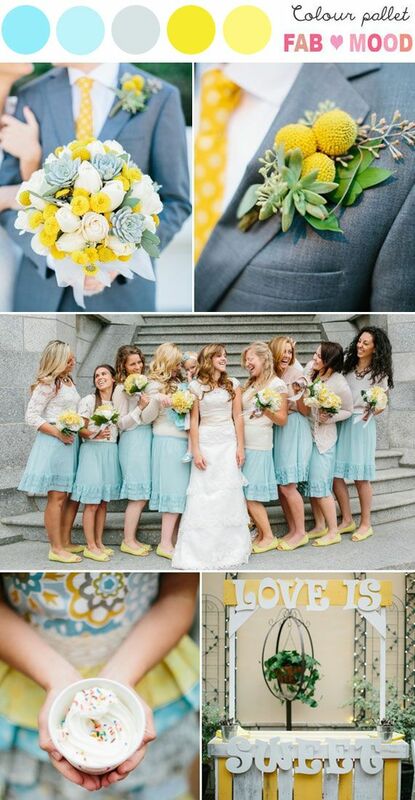 But in the case of marriage in the blue and yellow tones there are a multitude of yellow flowers and there are beautiful ships or arrangements of yellow flowers adorned with ribbons and blue bows. 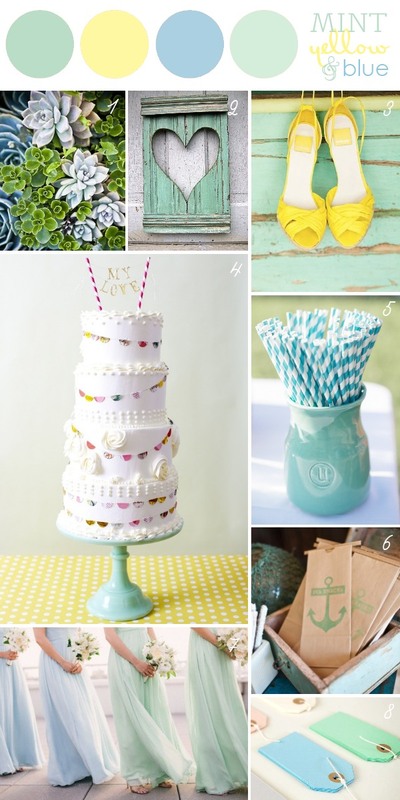 At the cake table, the tendency is for these two colors to be present either in the color of the table, in the arrangements, in the packaging and in the shapes of the sweets, in the details of the cake, everything must be in harmony, so that the final result is perfect. 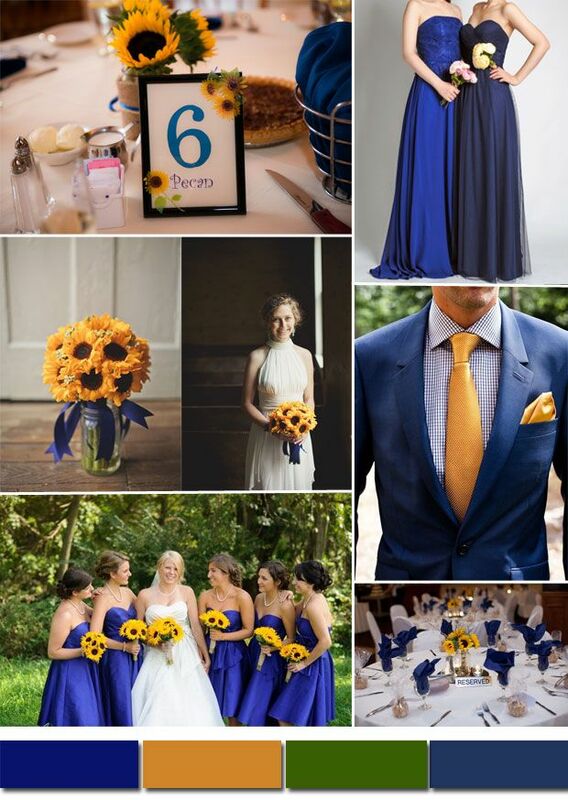 Color combo…Yellow and what shade of blue?